Retro Studios is now world popular for re-imagining not just one, but two Nintendo franchises: Metroid and Donkey Kong. Before stepping in to lend a hand, Metroid hadn't seen a release in nearly a decade and Donkey Kong was being controlled with the conga drums. Needless to say, Nintendo needs these guys. That's why with the launch of the Wii U, the company struggled to decide which series to follow up on first after Nintendo had approached them. 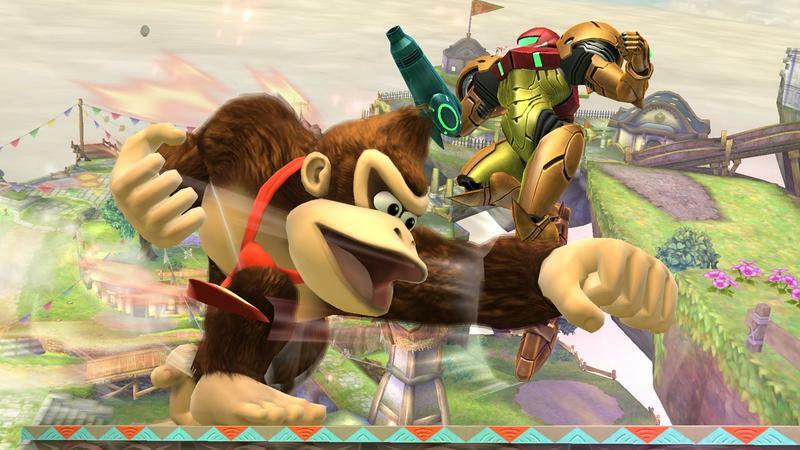 It goes without saying that Nintendo fans would rather see another Metroid Prime game or at least Metroid in some shape or fashion, but the decision ultimately fell on the Donkey Kong side of the fence. Donkey Kong Country: Tropical Freeze just announced this E3. Nintendo fans are a little miffed about the decision, but Retro Studios is claiming that it was a hard decision to make. President Michael Kelbaugh still believes the studio has unfinished business with Donkey Kong. And I'll agree. I was tired of Metroid Prime halfway through the second one, and I would love to get at least one Donkey Kong Country games out of Retro Studios before they move on to something else. It's obvious the team knows what it's doing. This little renaissance for the series is creating a whole new generation of DK fans, and I still want to control the game on my HDTV without having to flick the Wii-mote to roll. ARGH! As for Metroid, I'm hoping Legend of Zelda: A Link Between Worlds takes off in a big way, and Nintendo can see the viability in following up on a few more Super Nintendo classics. You know what I'm getting at. Which would you have rather seen? Donkey Kong Country or Metroid Prime?